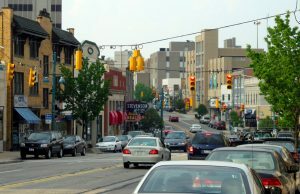 Shadyside is in the heart of Pittsburgh’s East End. 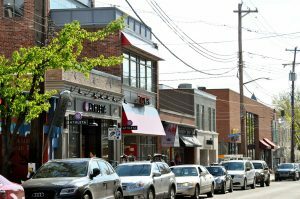 Walnut Street, Shadyside’s’ prosperous commercial and entertainment core, offers a bustling atmosphere of boutiques, shops, lounges, and restaurants designed to suit the discriminating tastes of residents and visitors. It is surrounded by Squirrel Hill, Oakland, Bloomfield, Friendship, East Liberty, Point Breeze, and Larimer. Shadyside was the original name of the Pennsylvania Railroad station. UPMC Shadyside and the Hillman Cancer Center are located in this vibrant neighborhood. 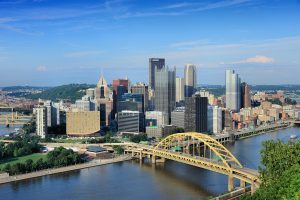 This neighborhood is one of Pittsburgh’s most popular, with a variety of ethnic restaurants, delis, bakeries, old fashioned grocery stores (which still deliver) and landmark taverns, as well as chic new eateries, trendy boutiques, movie theaters and upscale shops. Frick and Schenley Parks border Squirrel Hill, offering residents a wide range of recreational activities from biking, swimming, golf and tennis. Forbes and Murray is home to the Jewish Community Center, which today serves more non-Jewish members than Jews with a state of the art fitness center, swimming pools, early childhood center, recreation and sports and award winning senior programs. Museums, libraries, prestigious universities, grand architecture, quaint coffee shops, international cuisine, arcades, and book stores all describe the hustle and bustle that is Oakland. 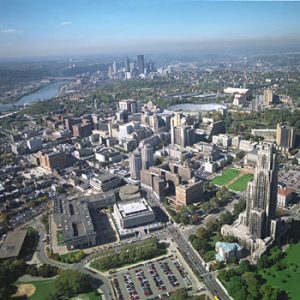 Many Oakland residents are students at the University of Pittsburgh or Carnegie Mellon University, creating a diverse student and multi-cultural community. Oakland is home to the UPMC medical center and the school of public health. Oakland is a major job center. Schenley Plaza and Phipps Conservatory offer plenty of green space to relax around. Mt. Lebanon is located just six miles from the business, sports, shopping and cultural opportunities of Downtown Pittsburgh, less than a half hour from the University of Pittsburgh, Carnegie Mellon University and other colleges and universities. 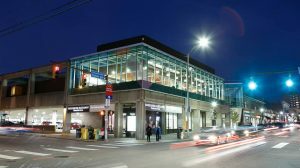 Served by the T – Pittsburgh’s light rail transit system the neighborhood has great restaurants, pubs, shops and boutiques as well as being close to major malls and the Pittsburgh International airport.